Ford Pinto 1971-1973 Disc Brake Front Spindle. Ford Pinto 1971-1973 Drum Brake Front Spindle. I have 71 pinto front spindles with disc brakes.Every kit I look at is only 74 and up. How does yours work and on all when nobody else kit does? 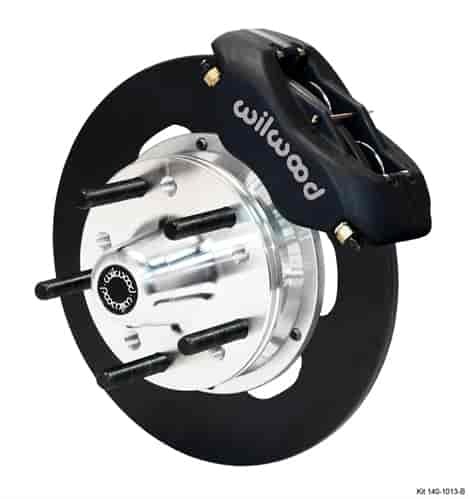 This is a wilwood kit and they have a spindle bracket that is made to work with 3 styles of spindles, you can get more detail by clicking on the instruction tab on the web page.